Lion-owned Panhead Custom Ales is set to open a taproom in the UK before the end of 2019. 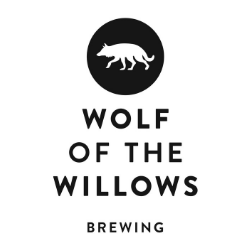 This will be the brewery’s second retail site since the opening of its taproom at its headquarters in Upper Hutt, near Wellington, New Zealand in December 2017. Panhead was established in New Zealand by founder Mike Neilson in 2013 before being acquired by Lion in May 2016. The London taproom will be located under the railway arches at 96 Druid Street in Bermondsey, South London—a space currently occupied by BrewDog-owned Hawkes Cider, which is expanding into an adjacent property. This new retail site will be headed-up by Fourpure, itself acquired by Lion in July 2018. The project will be led by Fourpure Marketing Manager and former 4 Pines marketing head Adrian Lugg, according to its co-founder Dan Lowe. “We’re excited to do some fun things to represent the Panhead brand,” Lowe told Australian Brews News. Following the initial purchase of Fourpure in July, this move marks an increasing interest from Lion in the U.K. market—which is now home to 2,500 breweries according to the British Beer and Pub Association. Lion also intends to further invest in this market by opening a brewpub under its Little Creatures brand in London’s Kings Cross district next year. It remains to be seen if U.K. drinkers will take to the Australian and New Zealand brands in the same way it has to domestic craft beer and U.S. imports. According to data from the American Brewers Association, the U.K. now accounts for 10.5 per cent of BA defined craft beer exports from the United States. Lion will likely be optimistic about its brands tapping into the same opportunities and the British drinkers evident relish for new and exciting imports. Lowe cites the history of Bermondsey’s railway arches—small to medium-sized industrial units that sit beneath the raised railway lines that snake out of nearby London Bridge station—as being key to the Panhead brand. Many of these units were formerly used as automotive repair centres, which for him ties in with the Kiwi brewery’s gearhead aesthetic. The area has become something of a hotspot for the British capital’s craft beer scene and is known colloquially as the ‘Bermondsey Beer Mile.’ Following The Kernel’s arrival in 2010—now regarded as one of the forerunners of craft beer in the U.K.—the area saw a brewery boom. Panhead’s arrival will see the number of breweries and taprooms along the 1.5 mile stretch rise to a staggering 13, including Fourpure itself, which opened here in 2013. Up until December 2017, all of the brewing businesses along the mile were London-based. This changed when Bristol’s Moor Brewing Company opened a taproom and distribution centre here in December 2017. This month they were joined by Manchester’s Cloudwater brewery, currently named the second best brewery in the world by RateBeer. Although the new residents will likely bring greater traffic to the area, existing brewery owners may need to be wary of tougher competition from their new neighbours. Growing crowds on busy Saturdays forced The Kernel to close its taproom to the public in September 2015, amid claims from the brewery that it was no longer to offer its customers an experience it was happy with. 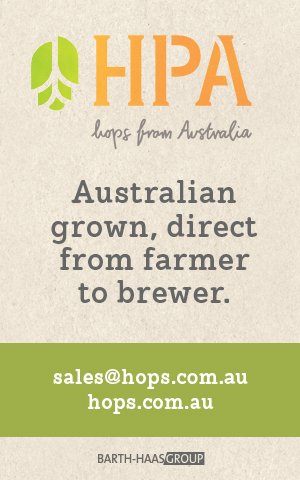 However, the brewery still opens for off-premise sales on Saturday mornings. The same hasn’t affected other breweries in the area such as Brew by Numbers and Partizan, which seem content to work with the crowds, likely thanks to the extra revenue brewery-direct sales offer them. Brewery owners may also be concerned that Network Rail—which manages the majority of railway infrastructure in the U.K.—has recently sold these arches to private investors. Despite a charter being put in place to protect tenants rights there are fears rents could rise, which could potentially put many of these businesses at risk. The danger of rising rents doesn’t appear to be a concern for Lowe, who believes the increased competition is a positive. He’s also quick to put aside fears that Panhead’s arrival won’t draw business away from his own taproom. “The Panhead taproom will provide a completely different offering to Fourpure,” he told Australian Brews News. Panhead beer will be air-freighted to London with hopes of an early December launch. It remains to be seen if the popular Kiwi brand will see the same success in London that it has back home. It’s actually their 3rd taproom. They used to have one at the Viaduct in Auckland (https://www.facebook.com/pages/Panhead-Viaduct/108469096541186) alas this one closed down earlier this year.